The book does not follow a linear format. 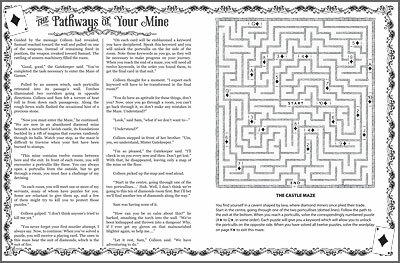 It is centered around a series of mazes, each with several descriptions of encounters between the Quaice siblings and the denizens of the maze. To solve the book, you must solve five mazes, which will put the pages of the story in the right order. Each puzzle spread includes a chapter and a puzzle that gives a keyword needed to break out of the maze. and mindbenders that defy categorization. 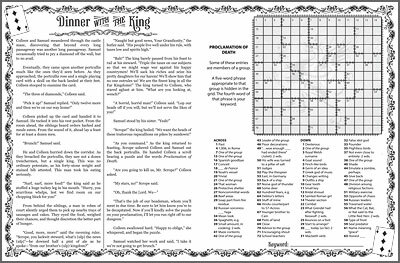 The section below shows a crossword from the first maze.